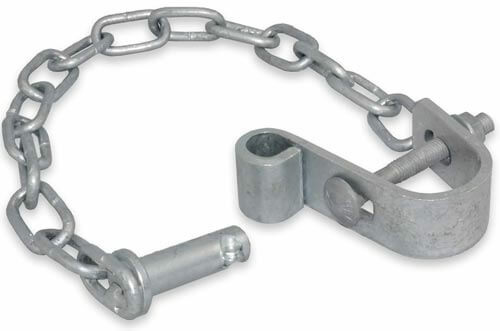 Looking for a simple chain latch to attach to your gate? Our bolt-on double gate latch kits are perfect for secure two or more gates together - particularly if they meet at a corner. Do you have two or more gates that need to be secured shut? 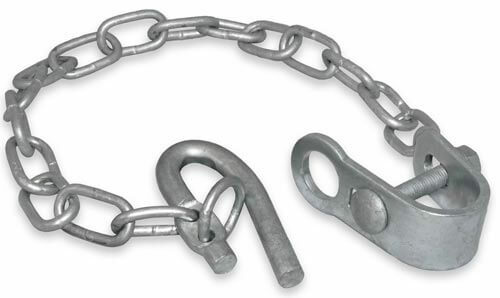 These chain latch kits bolt onto your gate and can loop around a post or another gate. It's perfect if you have a two, three or four gates meeting at a corner. 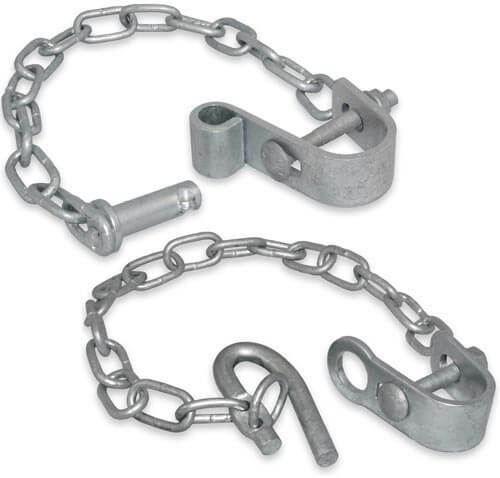 Are you tired of gates swinging shut when you are running stock through? By having your latch attached to your gate, you can swing the gate open and then latch it onto your fence. This means it won't close at the most inconvenient of times. 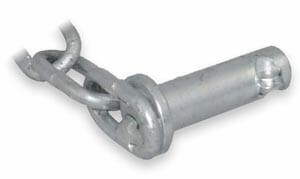 Our galvanised bolt-on latches are available with either a hook latch or a pin latch. The pin latch is more secure. The end of the pin is pinched to a point, which is designed to only fit one way into the latch hole. To unlatch your double gates, the pin has to be spun around to be in the correct position in order to be opened. With the hook latch, we have designed the ring to be on its side for extra security. 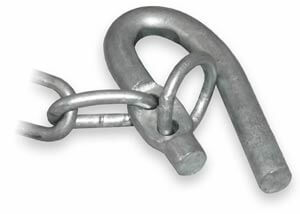 If the hook accidently gets bumped up, it will hit the top of the ring and fall back down. Whereas, if the ring was horizontal then it would be easier for stock to accidently unlatch it. By having the ring in a vertical position, it makes it more stock proof. The hook latch is also available as a spring hook. We have a variety of other latches that will work perfectly with multiple gates. Check out these other latches for double gates.